Roslyn Packer Theatre is located along Hickson Road, in the inner city suburb of Millers Point, opposite the Walsh Bay wharves. 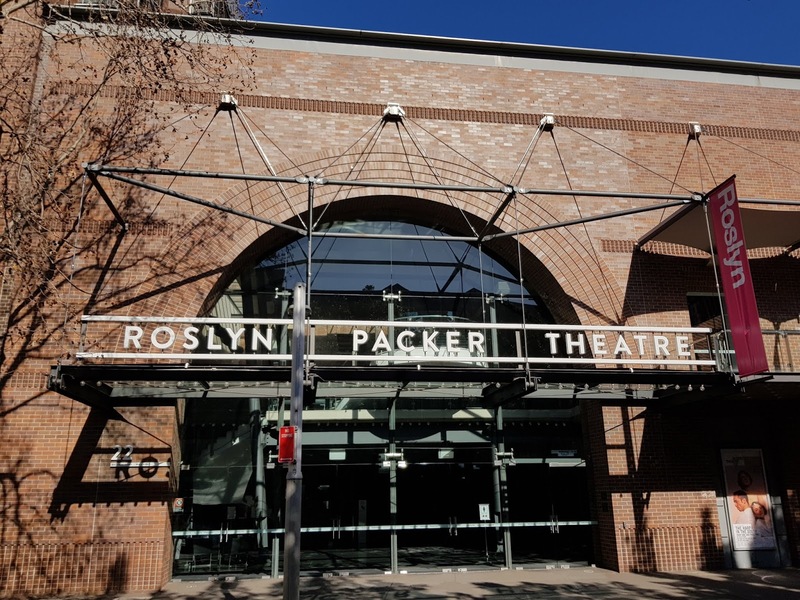 It seats up to 896 people and is managed by the Sydney Theatre Company, which was established in 1978 and also manages The Wharf Theatre located opposite at piers 6/7. The theatre integrates heritage elements of the former Bond Stores into the venue. It was originally known as the Sydney Theatre but was renamed in 2015, to honour the philanthropist and supporter of the arts. Great entrance. It looks like the architectural conversion was done in the right way. ...it nice to see it being used today! I like the idea of naming theatres after people - much better than a corporation deal which doesn't tell much about the city or the theatre or its patrons.